A time-honored live music tradition, an institution, and the World Series of Boston Rock. 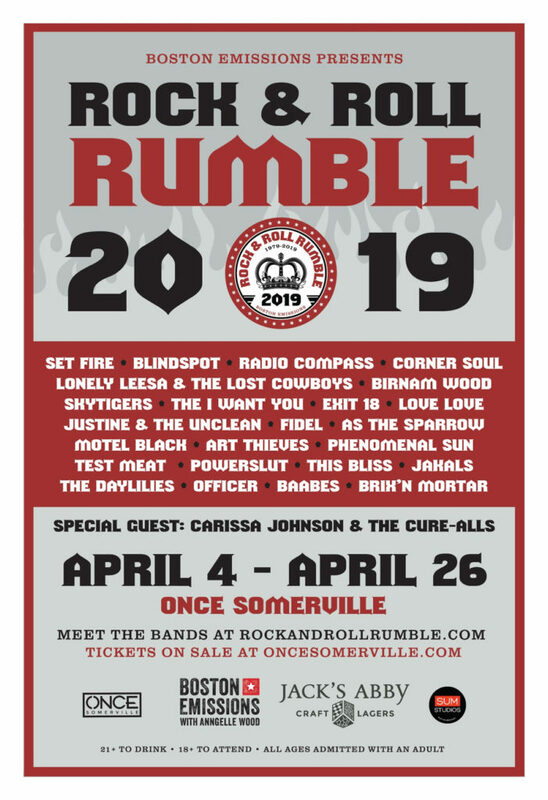 Founded by Boston’s radio behemoth, 104.1 WBCN, the Rock of Boston, the first official Rumble took place in 1979 at the legendary RAT in Kenmore Square. The Neighborhoods won. We continue in that spirit where bands play to new audiences, gain new fans, and raise their profile in the city. 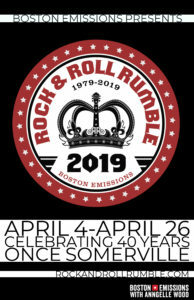 Boston Emissions is home to the Rock & Roll Rumble. 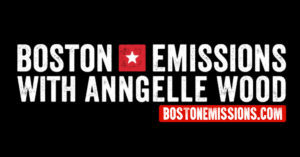 It is an annual event curated by Anngelle Wood, host of Boston Emissions. Only bands who send music to, and receive airplay on, Boston Emissions will be considered. You must send music the the show. Your band needs to be actively making music and playing out. 24 bands are selected to participate over 9 nights each spring. All bands are paid to participate. No band ever pays to play in the Rumble. 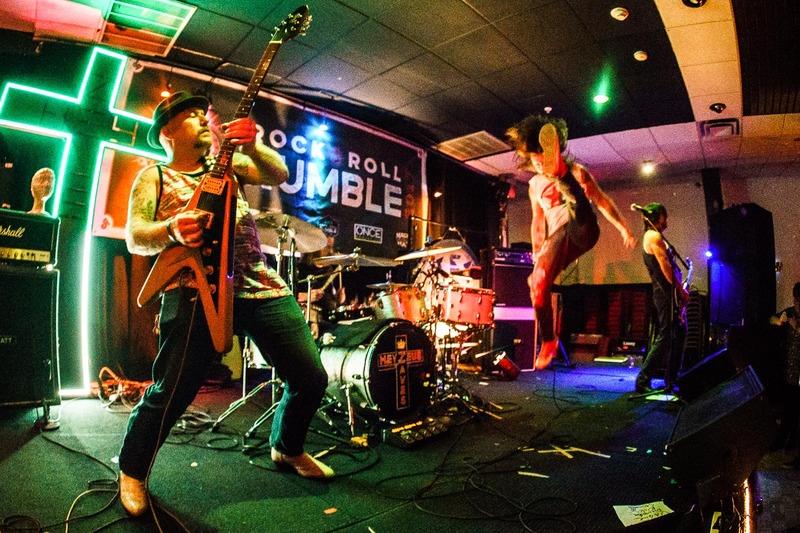 Bands are expected to promote their participation in the Rumble. Finalists win money, prizes, and opportunities. A lot of bands have played it. Ask them. 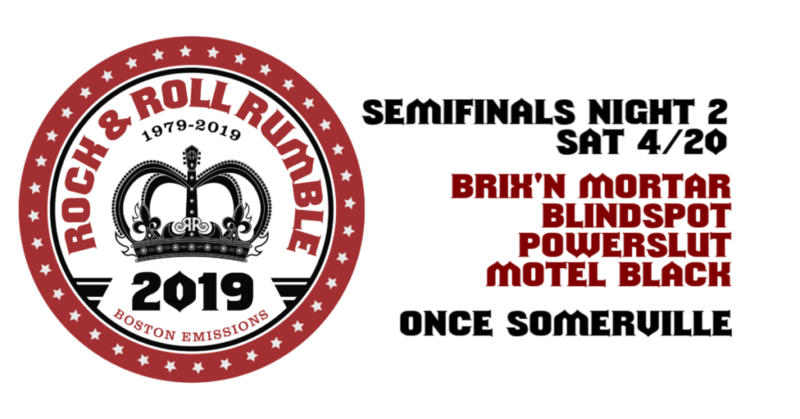 The Rumble is hosted and organized by Boston Emissions (formerly heard on WBCN, WZLX). Show host Anngelle Wood selects bands to participate based on several factors. The following information is the basic criteria for Rumble consideration. Other considerations apply. Key things I look at are Facebook, Instagram, Twitter, Bandcamp, Soundcloud, YouTube, website – I don’t look at whether you have 5,000 followers. I don’t care about Reverbnation charts or Spotify plays or Apple music. That is not a factor for me in choosing bands – but a regular social presence is. Contact the show, keep in touch, and send new music and show listings. This is how it works. Don’t wait until the band list is announced in the spring then email me about it. I am paying attention to you now. 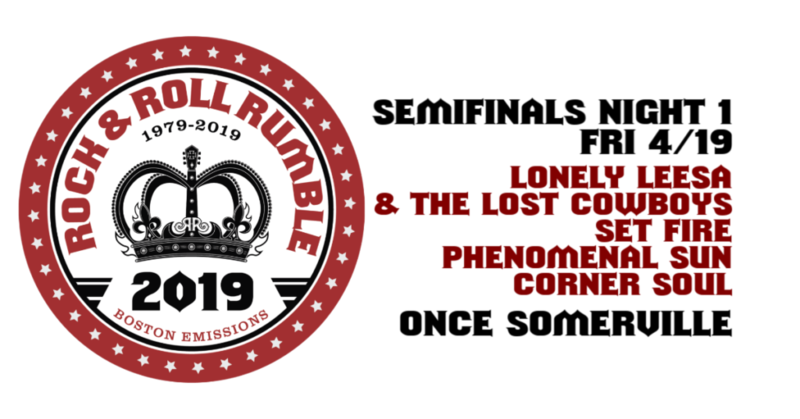 Bands who’ve participated include Til Tuesday, Scissorfight, Blake Babies, Dresden Dolls, Roadsaw, The Lemonheads, Morphine, Letters To Cleo, The Bags, Tribe, Gang Green, Eli “Paperboy” Reed, The Gravel Pit, Piebald, Cave In, The Sheila Divine, and more. See the Rumble Wiki page.